The ONLY solution designed specifically for ballroom and latin dance studios from the ground up. 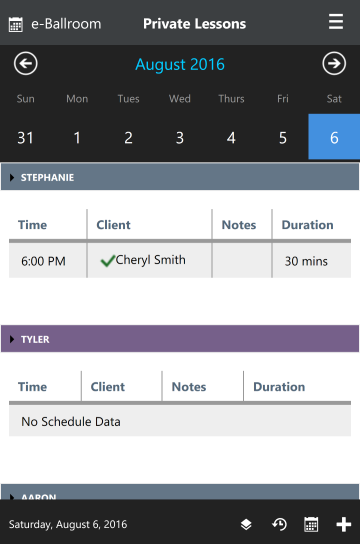 Allow your customers to self-schedule private lessons, view their upcoming private lesson schedule, and more with the Client Portal for your studio! 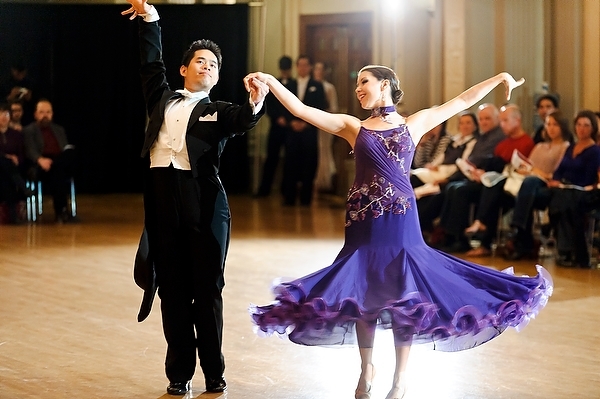 e-Ballroom supports tracking of group classes and social dances. 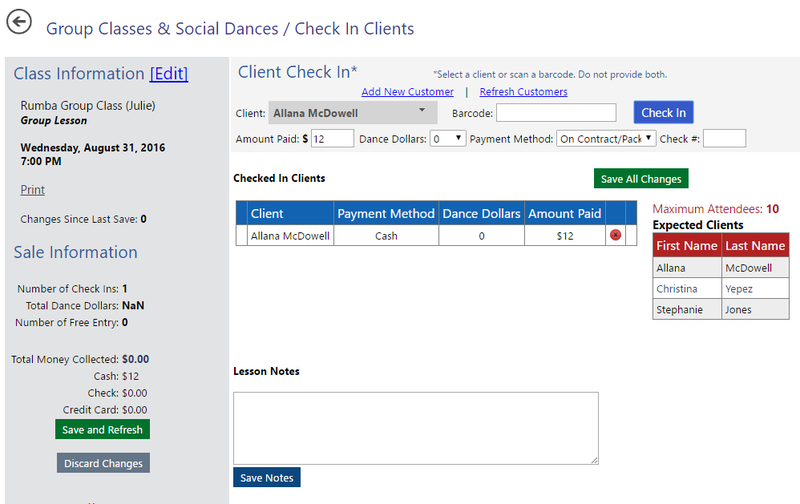 e-Ballroom supports both desktop browsers, touch tablets, and mobile devices for both the client portal and the studio. Support for memberships! Annual or monthly billing; up to 3 member tiers with customizable authorizations per tier; support for unlimited group classes and social dances; and more! 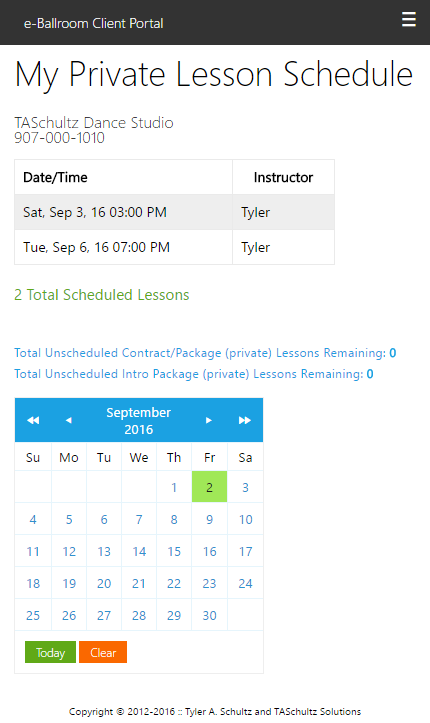 Allow clients to self-schedule private lessons through the my.e-Ballroom.com portal! A portal, my.e-Ballroom.com, that ties into the studio's data to allow customers to view their schedule, and more! Export email addresses (by client activity level groups) to Constant Contact, Outlook, GMail, and more! Track the number of lessons and total hours each instructor has spent teaching; includes group classes and social dances! Our pricing is not based upon the number of students, customers, or instructors in your studio. Includes a 15 day free trial! Please contact us for a quote for multiple studios. Have your data presented your way! Simply pay a one-time fee of $18 per report. Some features of the demonstration account have been disabled. Although your connection to the demo server is secure, do not enter real data into the system as the demo account is not isolated. Demo access is provided free of charge, expires after 72 hours, and is subject to applicable provisions of the e-Ballroom Software as a Service Agreement. Your email address will be utilized to send you a magic link to access the demo. Your contact information is not shared or sold to third parties.